Paris in Black and White, taken this shot whilst out walking in the park that sits just below the Eiffel Tower. 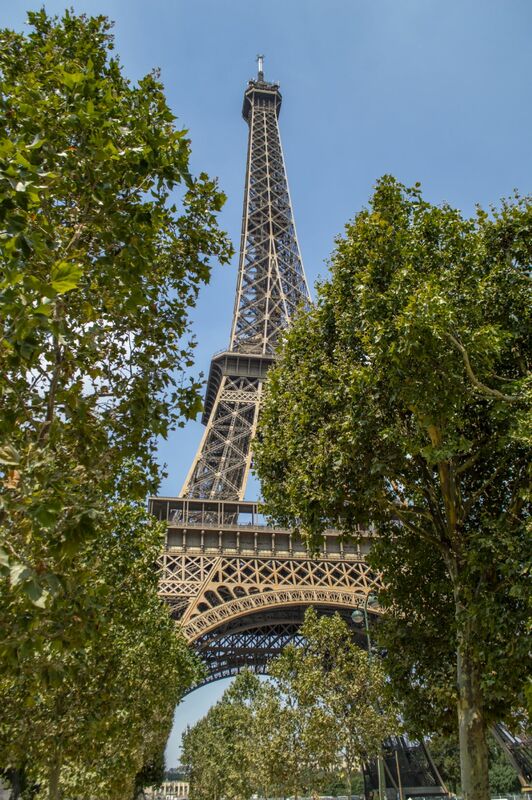 The Eiffel Tower stands tall in the picture high above the tree tops. Taken down on the beach whilst out walking the dog across the sand dunes. 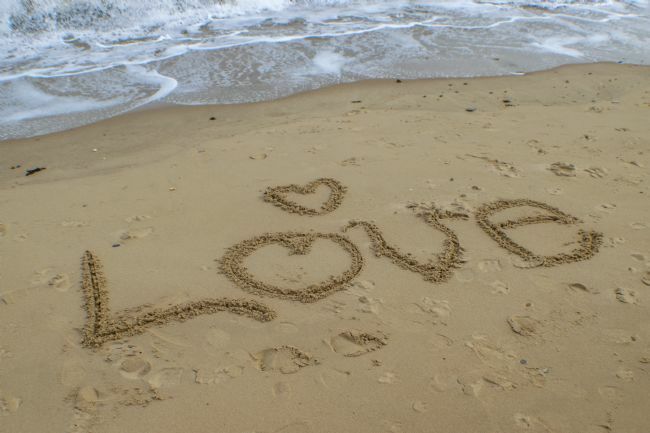 Love written in the sand at Sunderland Beach. Took this whilst out walking and thought it would make a lovely photo. 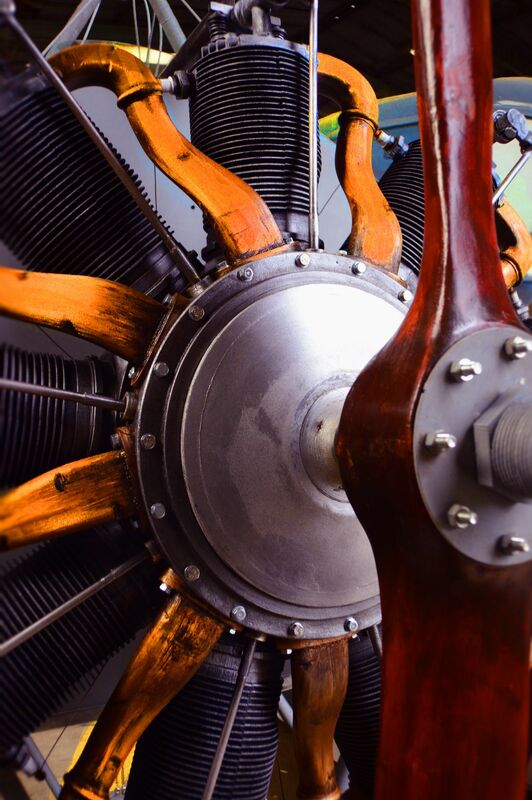 Took this photo of a steam engine. 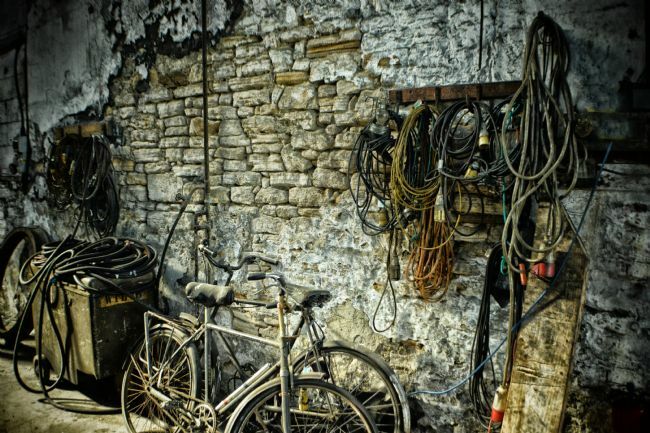 It looked as though it had not been in service for some time and had been worked on hoping to make it work again. Thought it would make a lovely image for a picture. Classic and vintage milk churns, these were used to keep milk in whilst transporting them from one place to the next. Took this photo as it so reminded me of days gone by, the photo feels 1940s and during the war years. Just two cygnets fill this picture although there are six altogether including there Mother and father. Swans stay together for life once mated. The national History Museum In London is home to many different species and it holds a very significate historical array of species of animal, plant and organisms that are no longer found on our planet. Such works as Charles Darwin and captain Cook all have contributed to building the foundations towards preservation of such a museum. I thank the National History Museum for letting myself photograph and use the photos I had taken for commercial purposes. Inside the great national History Museum a building designed to let in as much natural light a building designed to show off each and every exhibit to the best of its ability, housing works such as Charles Darwin and James Cook. I would like to thank the NHM giving permission to photograph and use commercially photos that I have taken within the Museum. 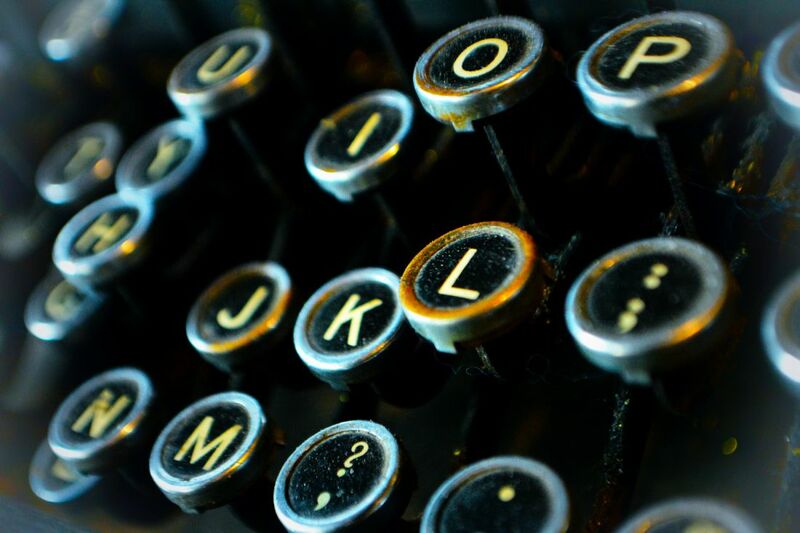 Took this photo whilst walking through a second hand stall, did you know the first typewriter was used in 1874 but it did not click on until 1880. since then the typewriter has been in use for over a hundred years. A Music Sheet that highlights the pitch, sound level and tone of a particular note or instrument. the very first Sheet music was first printed in 1473 and has since been used for all sorts of purposes, music, piano, guitar, television, plays, drama and so on. Psaltery is a triangular instrument normally 22 bowed strings attatched. Took this photo of my psaltery that I have at home thought it would make a lovely picture. Sheet music has been with us since 1473 when the first sheet came off the press, sheet music is a representative of styles and rhythm that one places in order to make a melody. Took this whilst out seeying the Eiffel Tower. 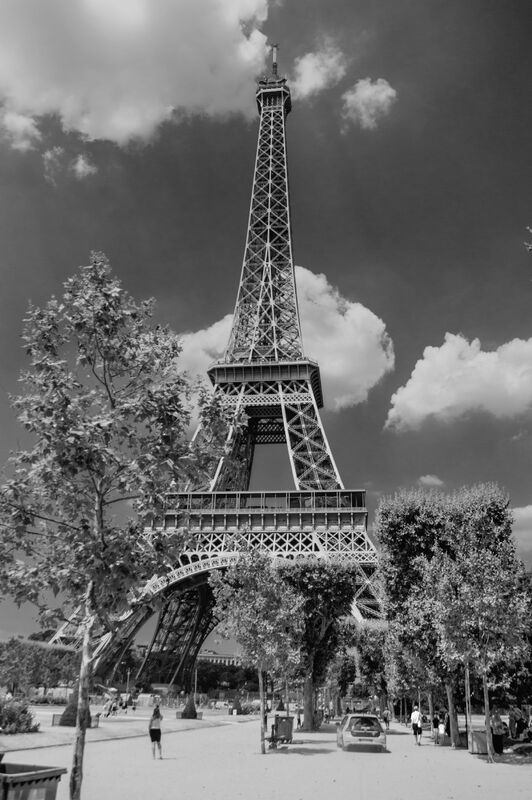 The park is situated right in front of the tower and makes a lovely contrast alongside the Eiffel tower. The Roue de Paris wheel sits were the Place de la Concorde in Paris, France, once stood just along from the Louvre art museum. The Chapel of St Mary the Less was built for St John College before it was open to the public. The chapel sits just above Durham Cathedral on the south Bailey. Spring and daffodils were open so thought it would make a lovely photo. A Northern Spire had just opened to the public so I came along to take a photo of the bridge that resides in Sunderland. Once home to Sunderlands ship building there stands now this Northern Spire. Took this photo in Burnmoor woods just along from Lambton Castle and woods, Loved how there was an array of colours through the trees and thought it would make a lovely shot. This is a new bridge just been built and just opened today, took this to help commemorate the opening of the Northern Spire. 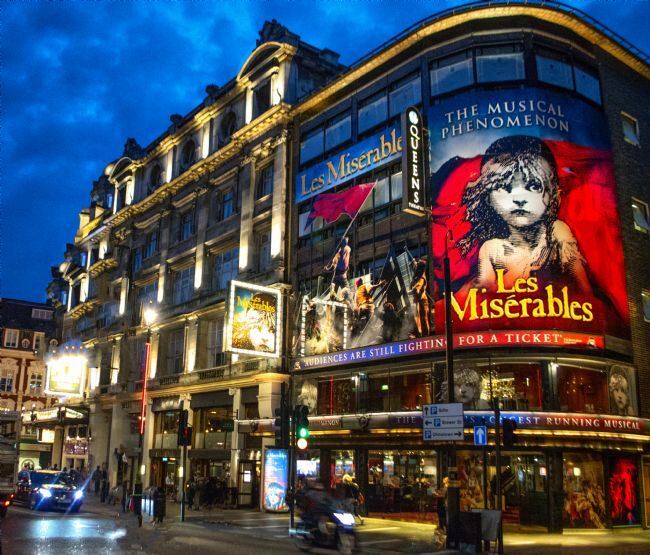 As London is the second largest capital in Europe. London has some strong urban qualities with there building standing out from it inner cities, many other European capitals follow suite with Londons simple but most effective approach to urban development. The Arc de Triomphe du Carrousel was built between 1806 and 1808 and was built to commemorate the great wars of France the previous years. The Arc is situated around the Louvre art gallery and Museum. 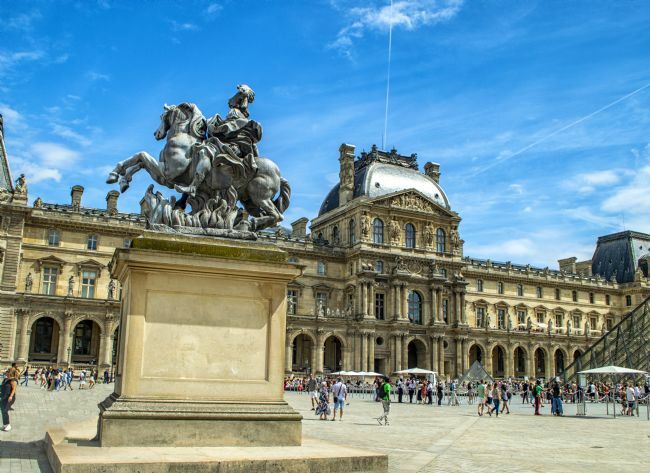 Taken just looking at the Louvre Art Museum in Paris after stepping off the ferry that takes you along the Seine river in Paris and with it the Arc De Triumph that stands close by. Took this photo whilst walking towards Trafalgar Square and towards Leciester Square, Just before passing under the Admiralty Arch down from the Mile and Buckingham Palace. Took this whilst walking past Buckingham Palace just down from Victoria Station and towards the Mile and Trafalgar Square. Took this in Paris right outside the Louvre museum and art centre. Just along from the Eiffel tower. 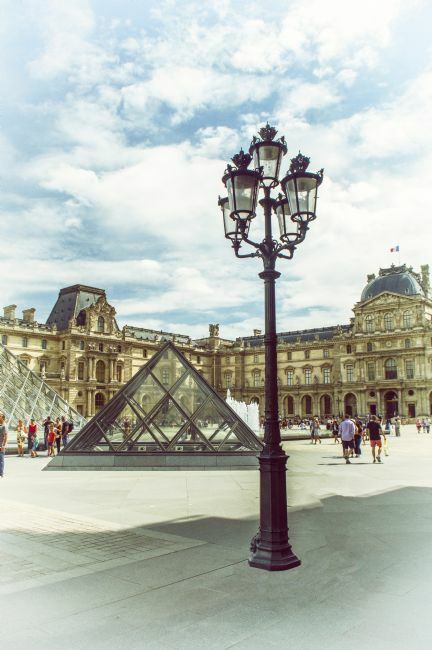 Took this whilst walking around the Louvre in paris after spending some time at the Eiffel Tower thought it would be nice to take a bit of art in along the way. 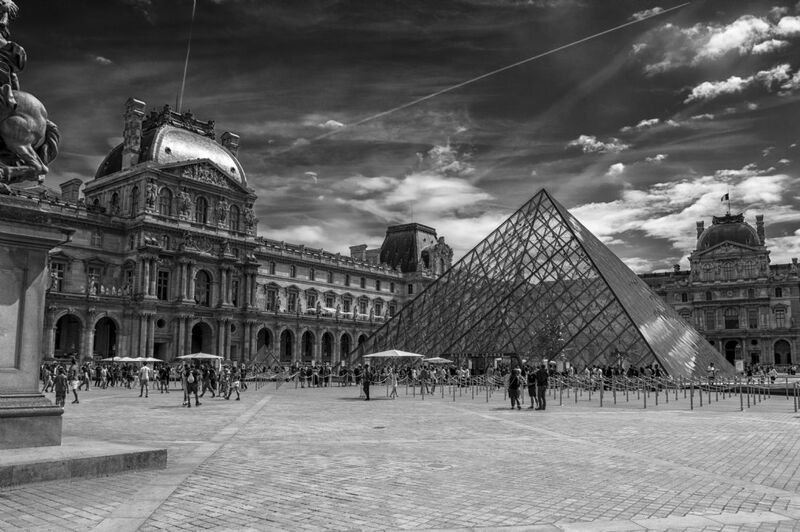 Paris in Black and white, took this whilst walking the louvre art gallery in Paris took the picture in monochrome to give a more artistic feeling to it. Took this photo whilst walking along the High Level Bridge in Newcastle, You can see the Port of Tyne and the Tyne Bridge from the High Level and also you get to view the start of the Quayside. Took this photo of the Port of Tyne whilst crossing the high level bridge in Newcastle, the port of tyne is painted in a lovely white and red colour and stands out across the river. 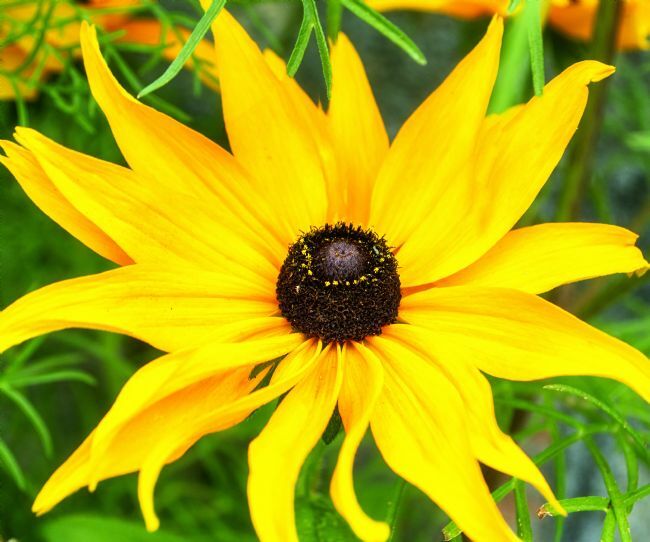 A Yellow Black Eyed Susan which is currently growing wild in Durham City near to the Durham Cathedral. With its bright yellow foliage and dark black inner circle makes a lovely contrast to a photo. Whilst walking around Leciester Square I came across some road works along the way, they were cordoned off so no one would or could get hurt, on the boarding were theses London House Guards. Took the photo thinking it would make a lovely shot. The Westminster Cathedral is situated just down from Victoria Station and Buckingham Palace. Such a lovely Cathedral build in 1895. Took this photo whilst out walking along Sunderland Quayside, there are always many boats different shape and sizes that are harboured there and always delightful to see them. Always lovely to go visit Leciester Square at night always full of life with its china town and theatres and soho. took this shot at the gates entrance to china town. Charley Chaplin Statue sits in Leceister Square in London along with the bright lights and theatres the statue shows the stars that once walked there over the years. Took this photo whilst out and about round Leciseter Square, been there loads of time spent many a night in Leceister Square with its Star Studdied Red carpet and China Town not to mention Soho. 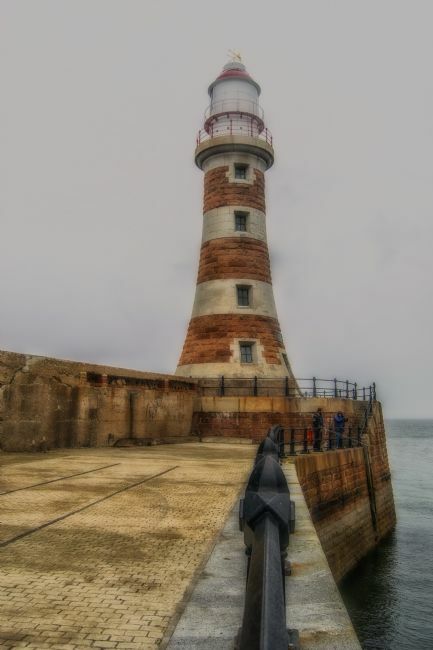 The Seaburn Lighthouse is now open to visitors so took the chance to pop along and shoot the Lighthouse although the weather was not so good the lighthouse was a lovely shot. Walking in Paris took this photo of the Eiffel Tower from a distance, the day was hot and the sun was out, The Eiffel Tower looked lovely from a distance. Walked along the Park that sits in front of the Eiffel Tower, took the photo with an ornamental vase that was mounted and in the back drop sits the Eiffel Tower just behind some trees. Loved this photo with the Eiffel Tower just behind some trees and looms high above the tree tops. gives a lovely contrast to the image. Eiffel Tower stands tall above the tree tops and above the City of Paris, took this photo whilst out walking through Paris. Took this photo of the Carousel that is just below the Eiffel Tower in Paris. love the contrast of shapes and colour between the both. Took This photo of a balloon that was soring high above, there was many balloons that day in Durham but this one was the most attractive so I took the picture. Whilst out walking along Marsden Rock I decided to take a photo as it was such a lovely day and the sun was out and the wash gave a stunning affect to the photo. Took this photo whilst sailing down the Seine River in Paris heading towards the Eiffel Tower and Notre Dame, There are many colourful barges that line the seine river and they looked so lovely could not pass the chance to take a photo. Sailing along the Seine River in Paris heading towards the Eiffel Tower and Notre Dame. I took this photo as it looked full of colour and such a perfect warm sunny day. Took this photo of Old Elvet bridge in Durham, Elvet bridge sits above the River Wear and just along from Durham Cathedral. Durhams framwellgatebridge and Durham castle on the top and beneath it Framwellgate bridge is below it, I add a little nostalgia to the photo to give it more character on the final shoot. Photo taken of Paris River Seine with a couple of Barges that line the waters edge. Took this photo whilst cruising the Paris River heading towards the Eiffel Tower and Notre Dame. Took this photo of Durham Cathedral from underneath Framwellgate Bridge in Durham City, Durham Cathdreal can be seen to the left of the photo above the tree line. 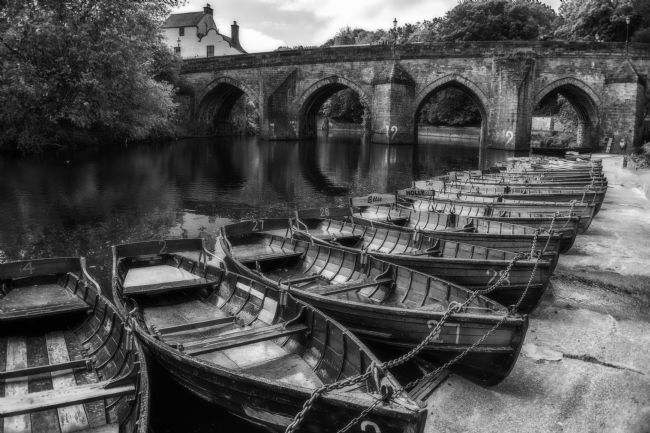 Took this photo down by Old Elvet Bridge in Durham, There are many boats that sail up and down the river and thought this would make a nice picture. The picture is facing toward Durham Cathedral though you can not see it in the background. 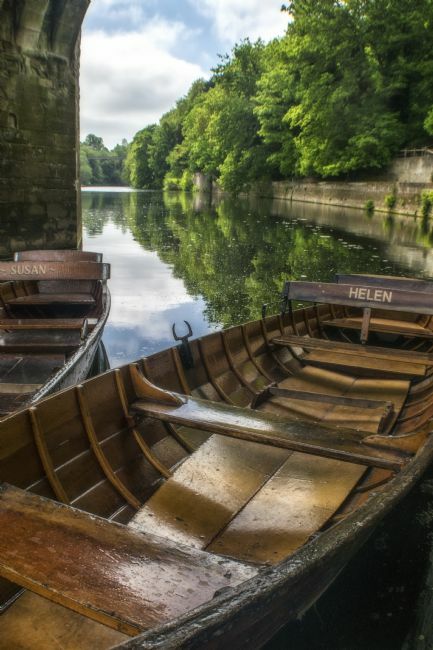 Took this photo under Old Elvet Bridge in Durham, it shows two riverside boats moored under the bridge and in the back ground to the right is Durham cathedral although the Cathedral is out of shot. Took this photo whilst walking through the high level bridge in Newcastle, I took the shot towards the Port of Tyne a swing bridge and also the Tyne Bridge both cross from Gateshead to Newcastle. Took this photo facing Old Elvet bridge in Durham whilst walking along the river wear. The river wear runs around Durham Cathedral and through the heart of Durham City itself. Took this photo looking onto the old Elvet Bridge in Durham City, The boats were moored there and gace a lovely comparison in detail to the background so thought it would make a nice photo. 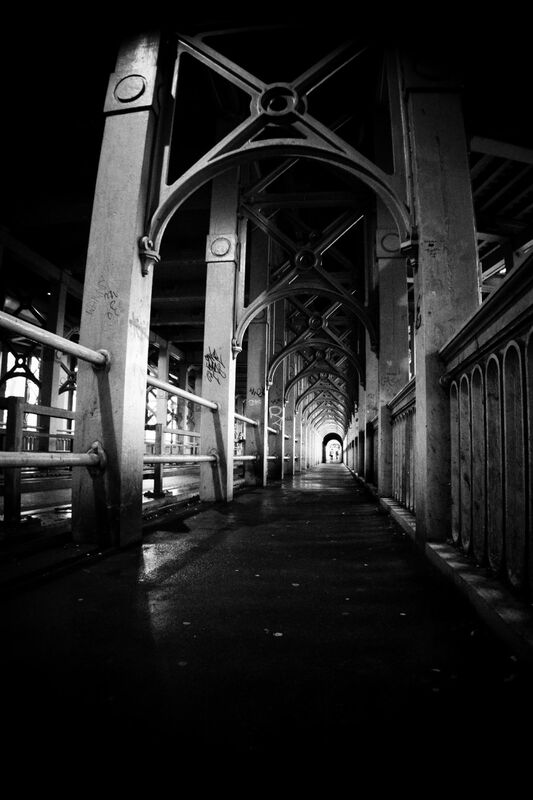 Taken below framwellgate Bridge in Durham. The photo shows Durham Cathedral in the background. Durham and the Old Elvet bridge that resides within Durham City itself, the bridge itself is the second oldest bridge built within Durham around the 12th century. It is believed the bridge is a forgiver of sins, however the bridge crosses the river wear which flows around the Durham Cathedral. 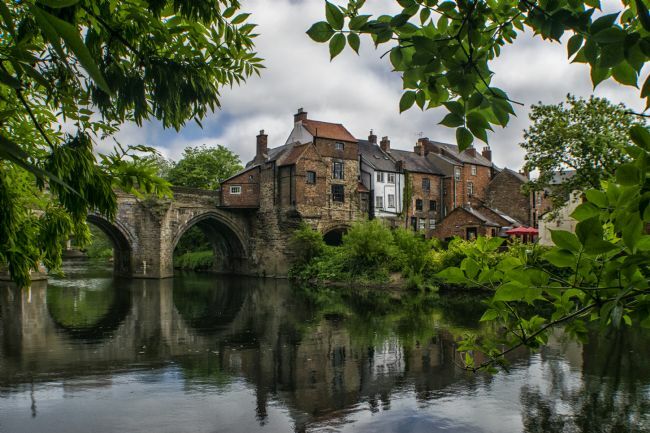 Durham is steeped in history and with its great cathedral that was built to house the shrine of St Cuthbert the city has been dated back to 2000bc. Took this photo whilst heading towards the Eiffel Tower, you can see the Eiffel Tower to the left of the photo, I the Duplexed the photo to create a more atmospheric shot giving it a vintage feeling to the picture as for me works well. 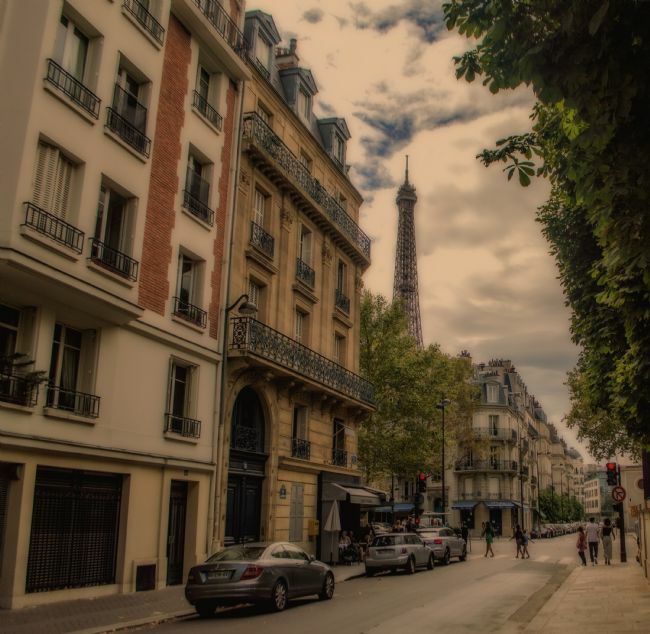 Took this photo of a street in Paris, to the left you can see the top of the Eiffel Tower. I then turned the picture into a black and white shot to give it a nostalgic old feeling to it. Took this photo of an old French barge that sits by the edge of the River Seine. Converted to black and white to enhancer the detail and to give the picture an old feeling about it. Taken with the Eiffel Tower to the left of the shot. 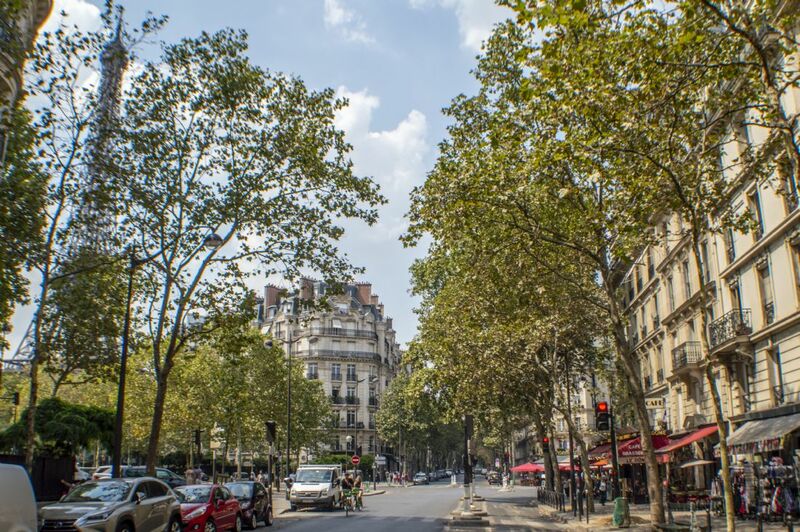 Took this picture whilst out walking in Paris and loved the scene with the Eiffel Tower to the left and behind some buildings flagged by trees, though it is hidden it is still visible in the shot. 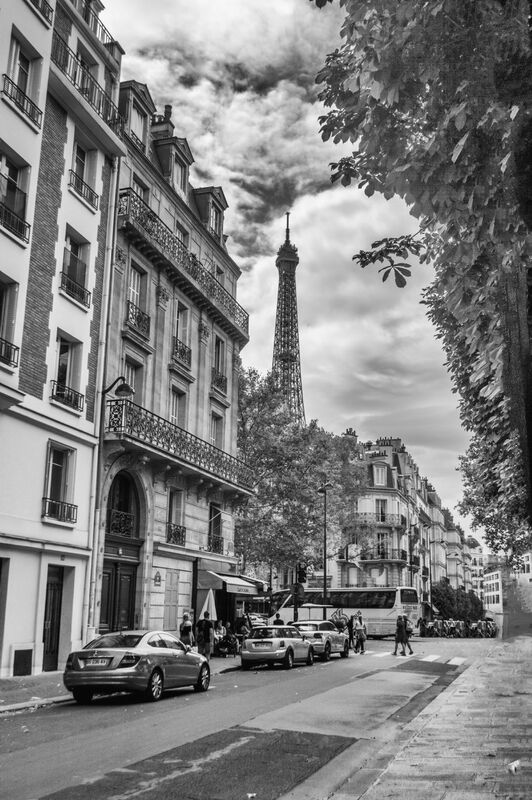 Photo of a street in Paris with the Eiffel Tower in the background. The photo was taken with a wide angle lens to capture as much of the street view as I could. Took this photo whilst out walking along the Seine River in Paris. Love the barge boats they have that Line the rivers edge and so many so thought to capture a few pictures as I walked along. London's Transport Red Bus was first London's General bus service before in 1933 the traditional Red Bus was synonymous with London's Transport and from there it has stood, along with the traditional British Red Pillar box and Red Telephone Box all have stood time and has given Britain its Bright red colour. There are many forms of bus transport but the most iconic is that of the double decker. The first commercial horse-drawn double-decker omnibuses were introduced in England in 1847 by Adams & Co. of Fairfield, Bow, then improved upon by John Greenwood, who introduced a new double-decker in 1852. The Louvre Art Gallery in Paris France, The Eiffel Tower in Paris France stands proud and prominent over looking Paris and the River Seine and can be seen for miles around. Also the Notre Dame sits over looking the Seine in Paris, Famous and known for the Victor Hugo's novel the Hunchback of Notre dame the Cathedral is in fact Paris Notre Dame was built during Louis the VII between 1137 and 1180. Paris is also is full of gift shops all dotted around Paris City. In the picture you can see the Eiffel Tower, Notre Dame, Louvre art Gallery or Museum. Paris and the river Seine, the Seine is the gateway to many of Parises historical buildings and Peruvian cafes along its trail. Hop on and off cruses along Paris river and you are a stones through away from Notre Dame and the Eiffel tower as the boat journeys along the Seine river. Paris is full of lovely streets with its café and gift shops all dotted around Paris City. In the picture you can see the Eiffel Tower, Notre Dame, Louvre art Gallery or Museum. Paris and the river Seine, the Seine is the gateway to many of Parises historical buildings and Peruvian cafes along its trail. Hop on and off cruses along Paris river and you are a stones through away from Notre Dame and the Eiffel tower as the boat journeys along the Seine river. Took this whilst out in one of the hop on and off ferries that take you Frome one end of the river to the other from the Eiffel tower to Louvre Museum. Paris has as many as 37 bridges that stems a cross the river Seine. Pont Notre Dame Bridge is the bridge that crosses the Seine river to the great Cathedral of Notre Dame. Notre Dame was made famous by Victor Hugo who wrote the novel The Hunch Back Of Notre Dame. 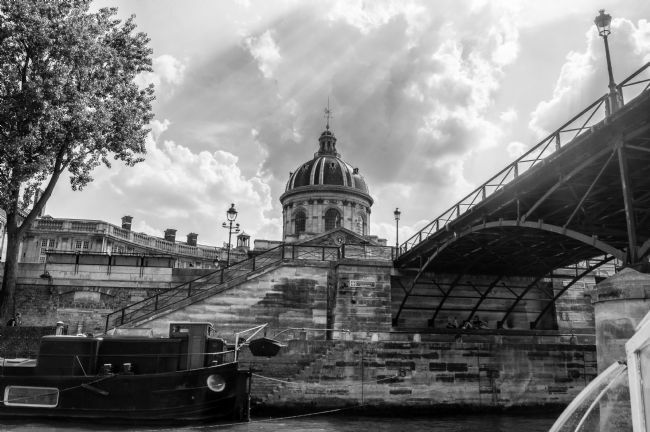 took this photo whilst crusing down the Seine in Paris on a hop on and off ferry tat runs the length of the river Sein taking you to all of Parises Historical places and buildings. Took this photo whilst walking along the River seine, there was a French barge to the left of me and the Notre Dame cathedral was to the right just on the other side of the river and in front you can see the Pont Notre Dame bridge. Took this photo and converted it to black and white effect. There was a French barge to the left of me and the Notre Dame cathedral was to the right just on the other side of the river and in front you can see the Pont Notre Dame bridge. 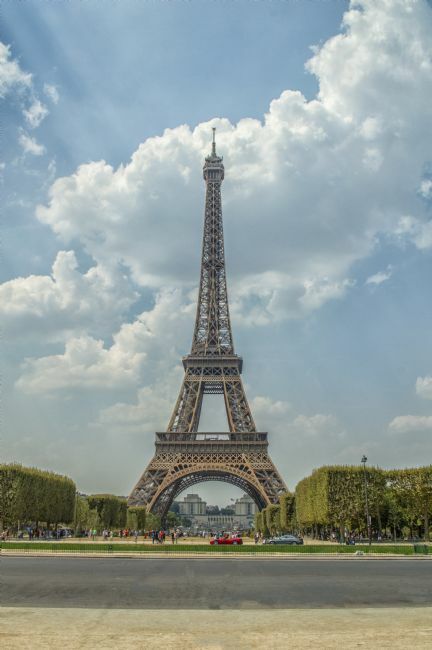 The Eiffel Tower in Paris France stands proud and prominent over looking Paris and the River Seine and can be seen for miles around. 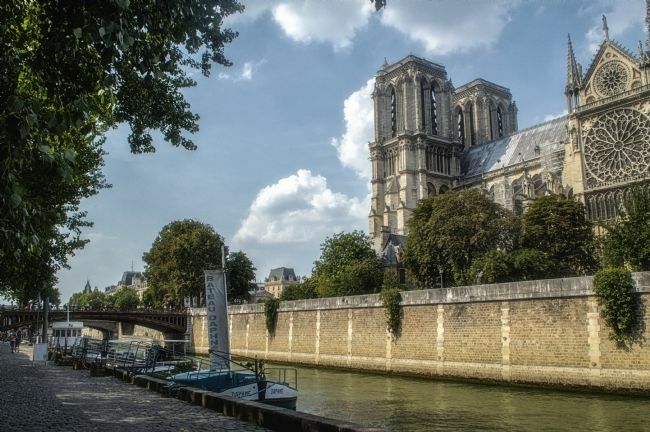 Also the Notre Dame sits over looking the Seine in Paris, Famous and known for the Victor Hugo's novel the Hunchback of Notre dame the Cathedral is in fact Paris Notre Dame was built during Louis the VII between 1137 and 1180. Paris is also is full of gift shops all dotted around Paris City. In the picture you can see the Eiffel Tower, Notre Dame, Louvre art Gallery or Museum. Paris and the river Seine, the Seine is the gateway to many of Parises historical buildings and Peruvian cafes along its trail. Hop on and off cruses along Paris river and you are a stones through away from Notre Dame and the Eiffel tower as the boat journeys along the Seine river. 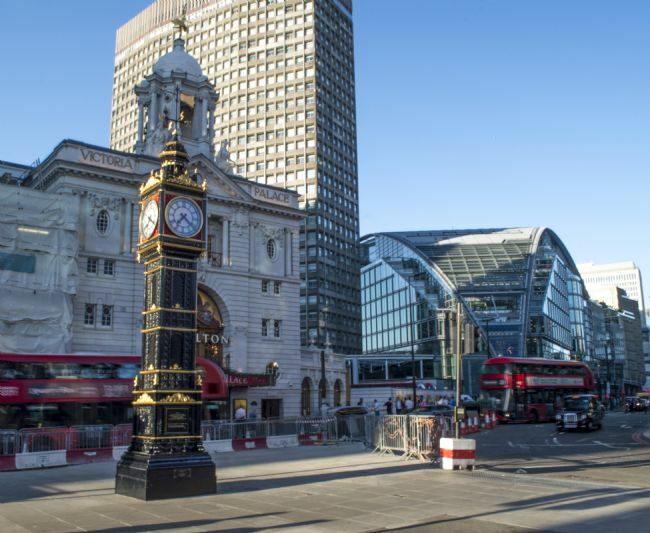 London Victoria or Victoria Station as it is better known is the central station within London serving Westminster. London's Transport Red Bus was first London's General bus service before in 1933 the traditional Red Bus was synonymous with London's Transport and from there it has stood, along with the traditional British Red Pillar box and Red Telephone Box all have stood time and has given Britain its Bright red colour. There are many forms of bus transport but the most iconic is that of the double decker. The first commercial horse-drawn double-decker omnibuses were introduced in England in 1847 by Adams & Co. of Fairfield, Bow, then improved upon by John Greenwood, who introduced a new double-decker in 1852. Notre dame the Cathedral is in fact Paris Notre Dame was built during Louis the VII between 1137 and 1180. Paris is also is full of gift shops all dotted around Paris City. In the picture you can see the Eiffel Tower, Notre Dame, Louvre art Gallery or Museum. Paris and the river Seine, the Seine is the gateway to many of Parises historical buildings and Peruvian cafes along its trail. 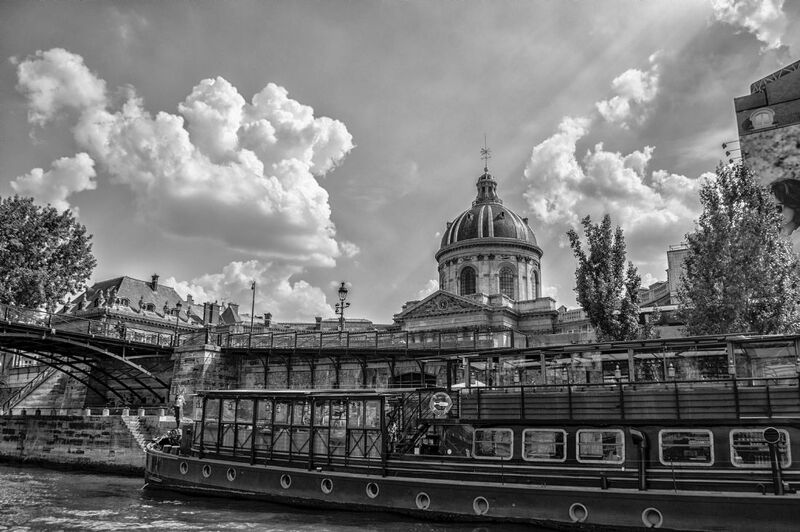 Hop on and off cruses along Paris river and you are a stones through away from Notre Dame and the Eiffel tower as the boat journeys along the Seine river. paris Louvre art gallery museum take whilst out walking through the Paris streets. 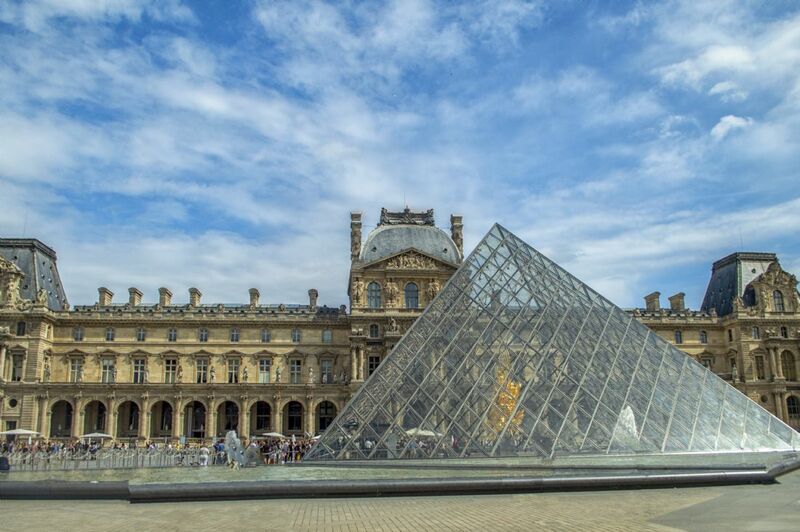 The Louvre is not far from the river Seine Paris and is just one of the historical landmarks that Paris has. The others are Notre Dame, Eiffel Tower for just some of many historical places Paris has. Paris is full of gift shops all dotted around Paris City. 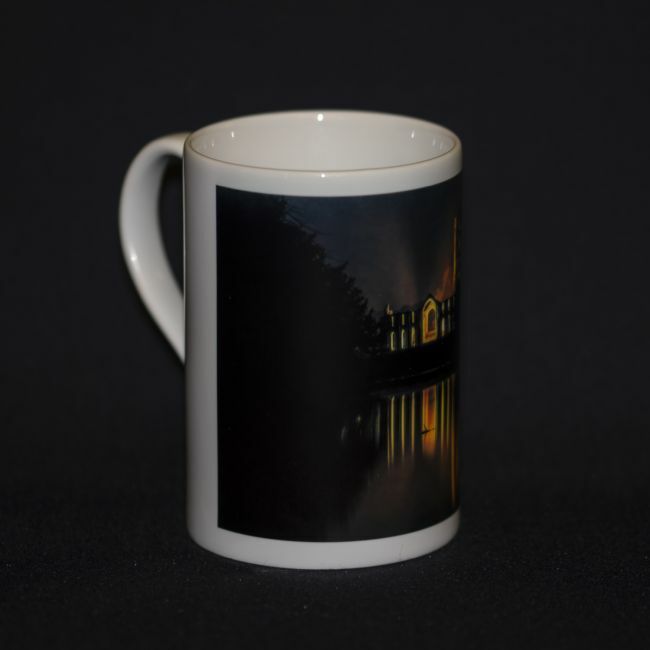 In the picture you can see the Eiffel Tower, Notre Dame, Louvre art Gallery or Museum. 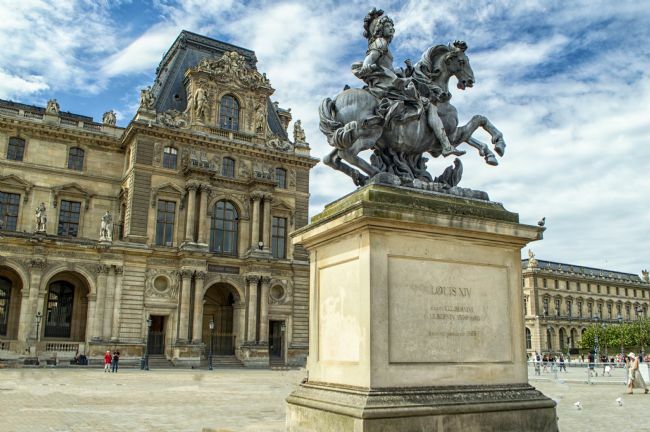 Paris and the river Seine, the Seine is the gateway to many of Parises historical buildings and Peruvian cafes along its trail. 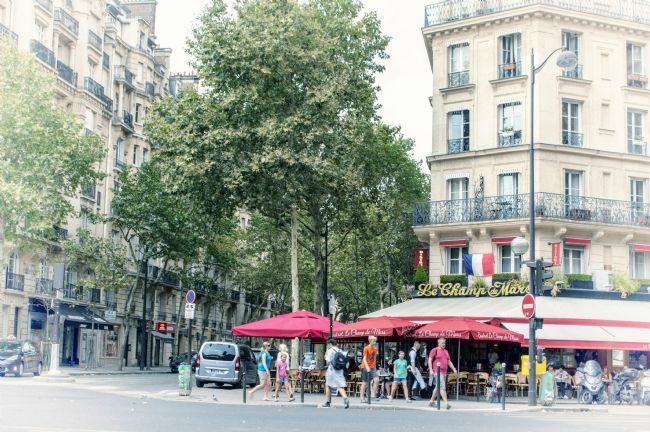 Hop on and off cruses along Paris river and you are a stones through away from Notre Dame and the Eiffel tower as the boat journeys along the Seine river. 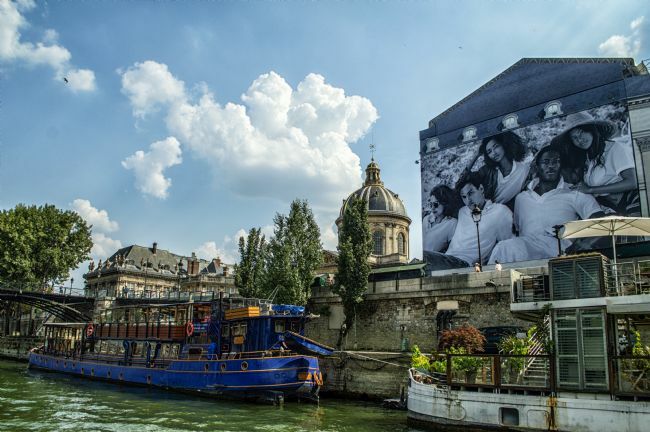 Paris has many Barges that line the Seine river as I walk slowly down towards the Eiffel tower, as well as Paris Barges Paris is full of gift shops all dotted around Paris City. In the picture you can see the Eiffel Tower, Notre Dame, Louvre art Gallery or Museum. 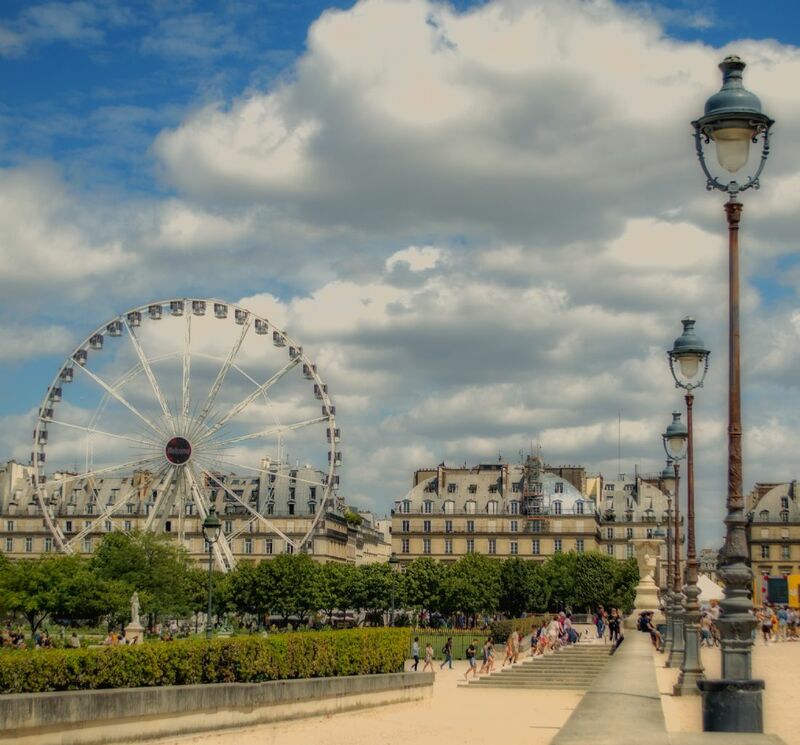 Paris and the river Seine, the Seine is the gateway to many of Parises historical buildings and Peruvian cafes along its trail. Hop on and off cruses along Paris river and you are a stones through away from Notre Dame and the Eiffel tower as the boat journeys along the Seine river. The City of Newcastle Port of Tyne Bridge Swing Bridge. Newcastle Port of Tyne sits between Newcastle upon Tyne, Tyne Bridge and Newcastle upon Tyne High Level Bridge. 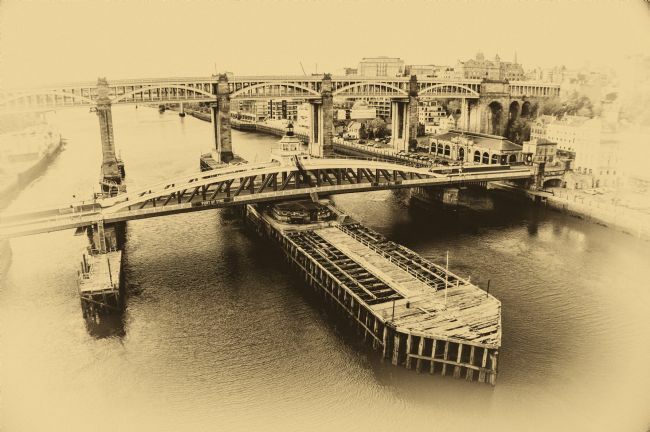 The Port of Tyne spans from Gateshead to Newcastle and once the Roman Bridge stood in its place many years ago. the bridge itself has replace previous swing bridges having been built in 1873 to replace a former swing bridge. 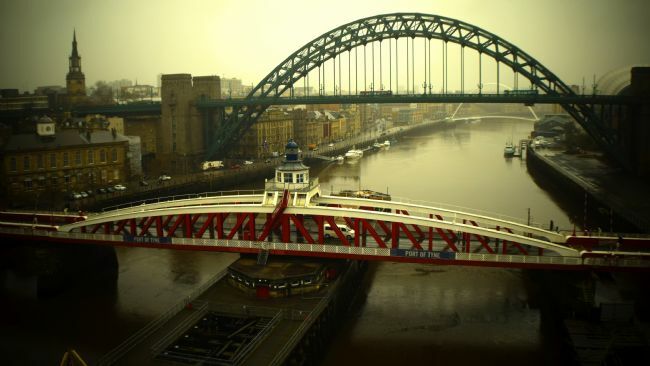 The bridge sits on the Quayside of Newcastle upon tyne and is a lovely site to see painted in its glorious red and white. The Newcastle Tyne bridge built to the same design of that of the Sydney Harbour bridge in Australia and the design was taken from the Hell Gate Bridge in New Your City, Work started on the Tyne bridge in 1925 and was completed by 1928. The Tyne bridge was designed Mott, Hay and Anderson the same bridge builders who designed the Sydney Harbour Bridge. 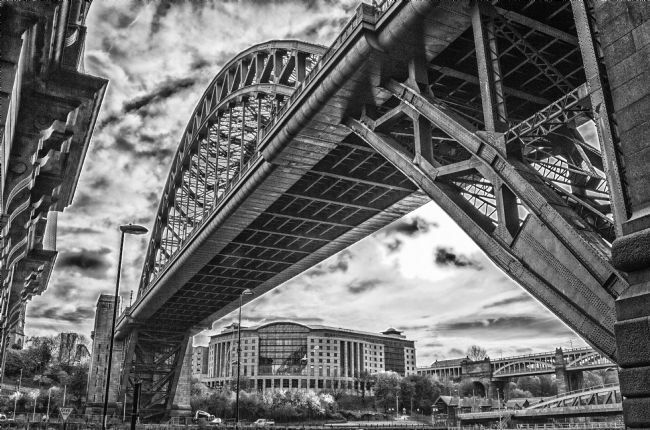 The Newcastle Tyne bridge spans from Gateshead to Newcastle. Below the bridge is the Quayside once open to ship building now a social haven for those wishing to relax. 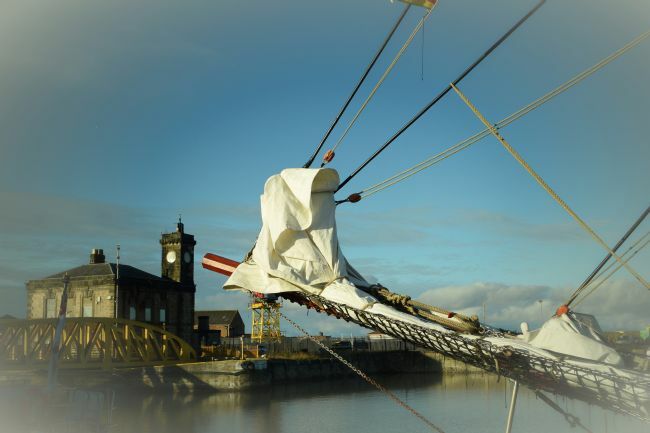 Sunderland's Tall Ships of 2018, nearly 43 vessels of all shapes and sizes will venture into Sunderland's Harbour for the year 2018 Tall ship race. The tall ships have been present in the North East nearly every year either In Hartlepool, Newcastle or Sunderland. many of the ships come from countries as far afield as India, Russia and Vanuatu. 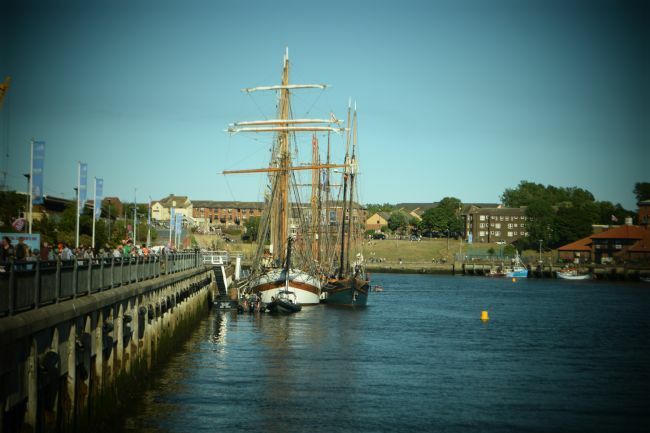 They will leave the River Wear on 14 July, they will race to Esbjerg, Denmark, moving on to Stavanger, in Norway, from where they will race to Harlingen, in The Netherlands. tall ship is a large, traditionally-rigged sailing vessel. 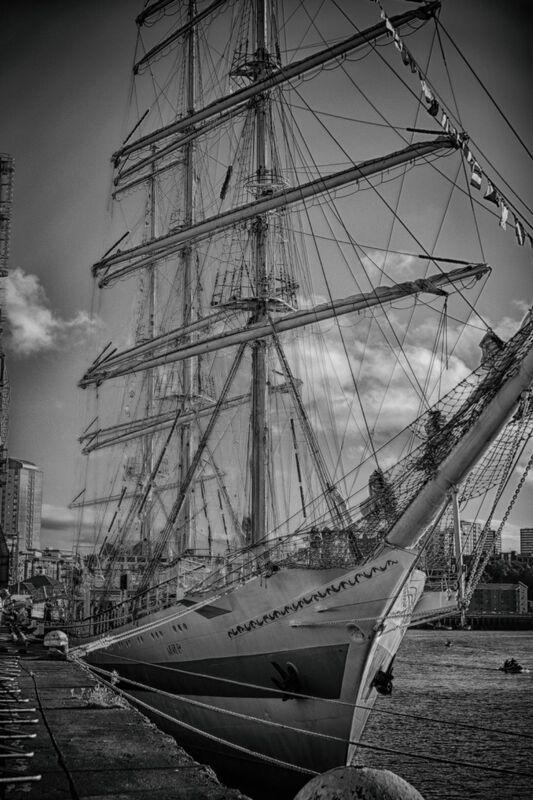 Popular modern tall ship rigs include topsail schooners, brigantines, brigs and barques. Sunderland's, Hartlepool, Blyth and Newcastle Tall Ships of 2018, nearly 43 vessels of all shapes and sizes will venture into Sunderland's Harbour for the year 2018 Tall ship race. The tall ships have been present in the North East nearly every year either In Hartlepool, Newcastle or Sunderland. many of the ships come from countries as far afield as India, Russia and Vanuatu. 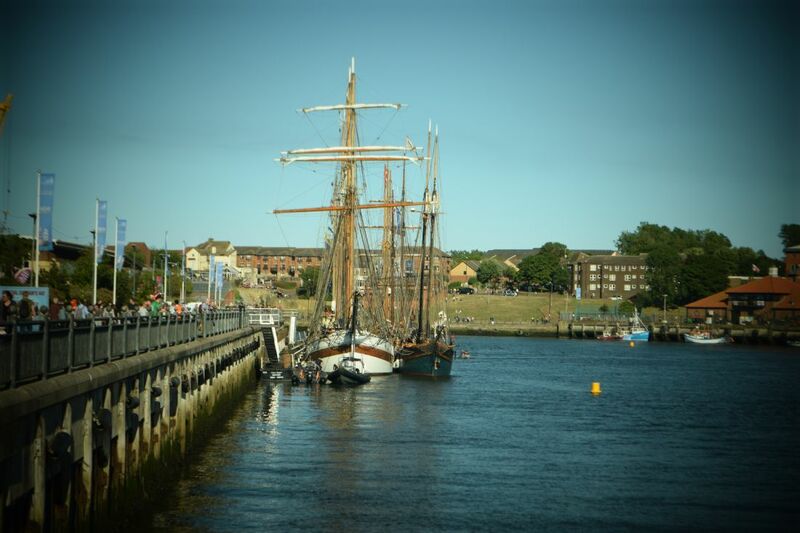 They will leave the River Wear on 14 July, they will race to Esbjerg, Denmark, moving on to Stavanger, in Norway, from where they will race to Harlingen, in The Netherlands. tall ship is a large, traditionally-rigged sailing vessel. Popular modern tall ship rigs include topsail schooners, brigantines, brigs and barques. This is a statue built by Ray Lonsdale as it stands in Seaham Harbour, it is of a ww1 or ww2 soldier in contemplation to depict the horrors of the 1sr world war, with his head bowed down only them who suffered through the war would know the true horrors of it. The name Tommy came from the machine gun that was used during the war, Tommy gun as it was rightly known as. Hence the name Tommy that was given to the British soldier. We will remember them. Many soldiers lost there lives fighting through the 1st word war fighting in the trenches at the Somme and Flanders against the Germans. The Oldham headlamp, the miners headlamp was happily named Oldham and was first introduced during the 1940s to help the miners see better down the pit, the battery could be easily fitted to the helmet and was less likely to start a spark or ignite any gasses that may be lingering in the air whilst they were down the mine. In years gone by Canaries were used to detect gasses in the coal face, if the canaries died then there would be a build up of gasses and the coal miner would have to evacuate the mine shaft. 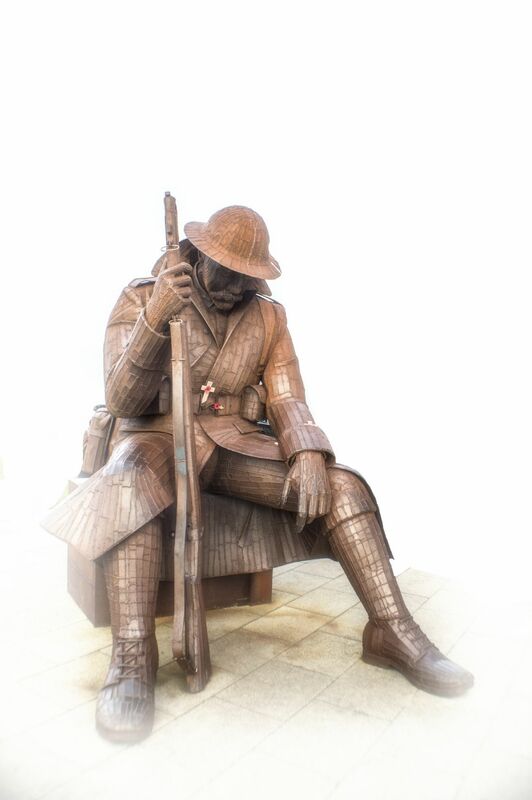 This is the picture of Tommy, a Statue that sits in Seaham Harbour that depicts the horrors of the first world war, with his head bowed down the statue illustrates the horrors of the war and what the soldiers of the first world war had to go through. weary and tired fighting in the trenchers he sits and rests. whilst contemplating his friends who he has lost during the battle. whilst out walking I photographed the Baltic Centre for Contemporary Art (also known simply as Baltic, stylised as BALTIC) is a centre for contemporary art located on the south bank of the River Tyne alongside the Gateshead Millennium Bridge in Gateshead, Tyne and Wear, England. It hosts a frequently changing programme of exhibitions and events, with no permanent exhibition. It opened in 2002 in a converted flour mill. the Baltic is along the Gateshead side of Newcastle's Quayside. Took this Photo from the Tyne bridge. You can see St Nicolas Cathedral in the background, The Tyne Bridge sits high above the Quayside in Newcastle. I cartooned this photo to give it a slightly more coloured sketch feel to it, I believe this shows better the different array of Colours you can see as you look across and away from the Tyne bridge. The most common of all daffodils, there are about 50 different varieties and I took this photo of a yellow daffodil whilst out walking through the woods. The Daffodil proper name is Narcissus, though it does come under various different names. The daffodil with its long sturdy green stem and its brightly yellowed or white petals and soft inner centre to attract butterflies or bumble bees or the odd honey bee. The daffodil is mostly a spring time flower and wild flower that not only grows in the garden but withing the woodlands through Europe. I watched as many balloons took to the skies over Durham City, I watched as many colours reached for the heavens as I staired in aww at there beauty. Balloons from many countries were competing that day all shapes and sizes. Balloons are filled with hot air and with it a woven basket hangs down from the bottom of the balloon so people can climb in and manager it better whilst it is in flight. It had been many years since the wright brother took off to the sky's on there first voyage in the kitty hawk. since then man has enjoyed many a flight crossing continents in his quest to make the planet ever smaller and within his reach. The Avro Anson, was originally designed as a coastal reconnaissance aircraft, and was derived from a 6-seat passenger airliner, the Anson 652. The design team was lead by Roy Chadwick, the designer of the Lancaster. The Anson ended up serving the RAF for over 30 years. Took this photo of Swans with there signets whilst out walking in Herrington's country park, The park (Herrington) sits just below Penshaw monument. Within the Herrington there is a large pond were the swans gather all year round. Took this photo of a male and female swan and there baby Cygnets all three whilst out walking in Herrington's country park, The park (Herrington) sits just below Penshaw monument. Within the Herrington there is a large pond were the swans gather all year round. The High Level Bridge is a road and railway bridge spanning the River Tyne between Newcastle upon Tyne and Gateshead in North East England. 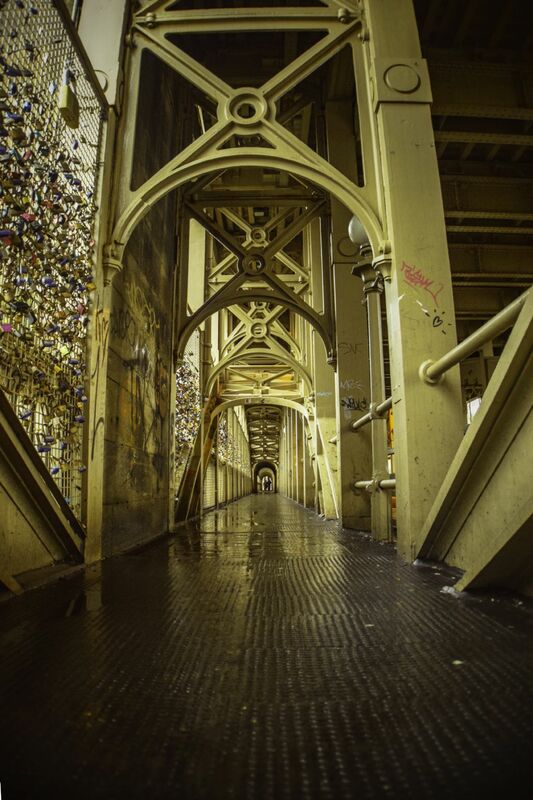 It is considered the most notable historical engineering work in the city. It was built by the Hawks family from 5050 tons of iron. George Hawks, Mayor of Gateshead, drove in the last key of the structure on 7 June 1849 and the bridge was opened by Queen Victoria later that year. 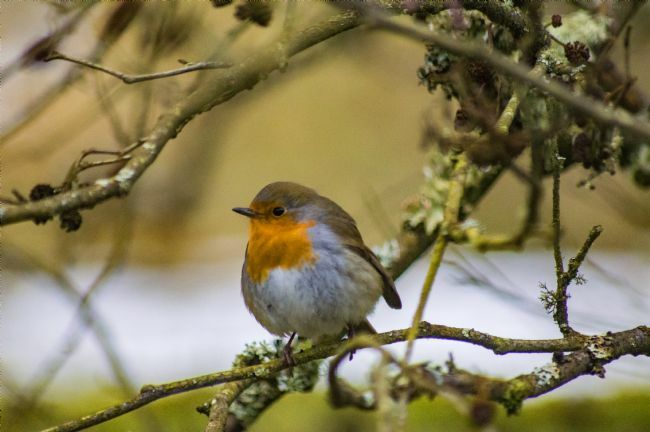 Photo of this Robin with its brightly coloured red breast perched on a branch, with its distinctive red breast is a member of the thrush family, The Robin is a plump bird with bright orange-red breast, face, throat and cheeks edged with grey, a white belly and olive-brown upper parts. Boating along Durham City's river wear just past Old Elvet Bridge, The boats sit just past Durham's Old Elvet Bridge and has been ferrying people up and down the river for some years now for visitors whom wish to see Durham cathedral. Durham is famous for its oldest Cathedral in England that houses the shrine of St Cuthbert, St Cuthbert was brought to Durham from Lindisfarne (Holy Island) to protect the body from Viking Raids that were quite frequent. It Had been a long time since the wright brothers fist flew the kitty hawk that sunny day a long time since man took to the sky's in flight. Man had flown across the Atlantic and across continents to achieve at that time the unthinkable. the world became smaller as flights became ever more increasingly. Thank you to the Avro Anson, was originally designed as a coastal reconnaissance aircraft, and was derived from a 6-seat passenger airliner, the Anson 652. The design team was lead by Roy Chadwick, the designer of the Lancaster. The Anson ended up serving the RAF for over 30 years. I always remember as a child, the bus conductors and the bus drivers. The bus conductor always had a ticket machine which he would crank round after receiving your fair. 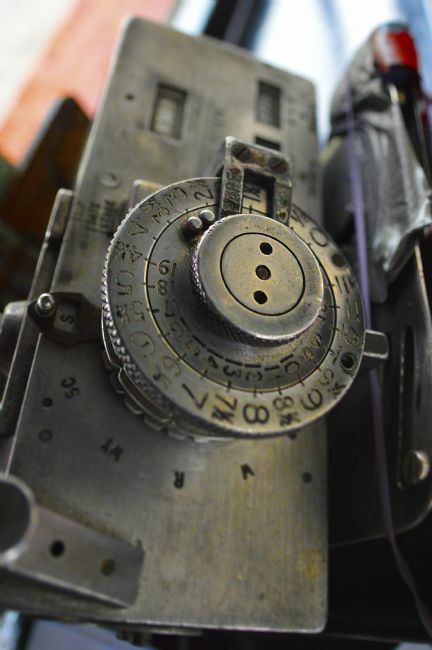 This is a 1950s bus ticketing machine used on the bus service within the Durham and Sunderland Districts for local transport. 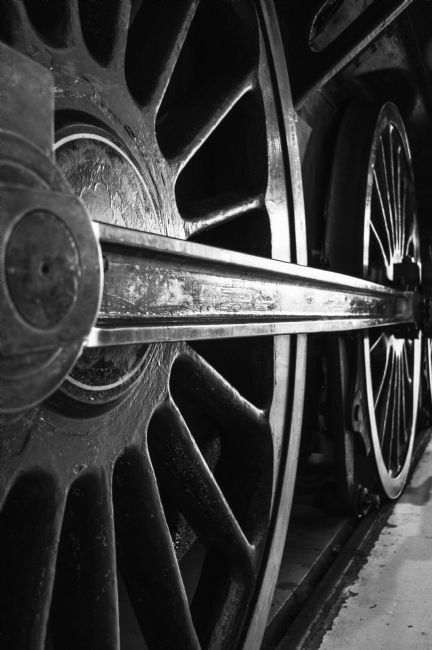 I took this photo of a steams engines wheels, the wheels are made from Steel and drive the great engine to were it wishes to go. Steam locomotives were first developed in Great Britain during the early 19th century and used for railway transport until the middle of the 20th century. 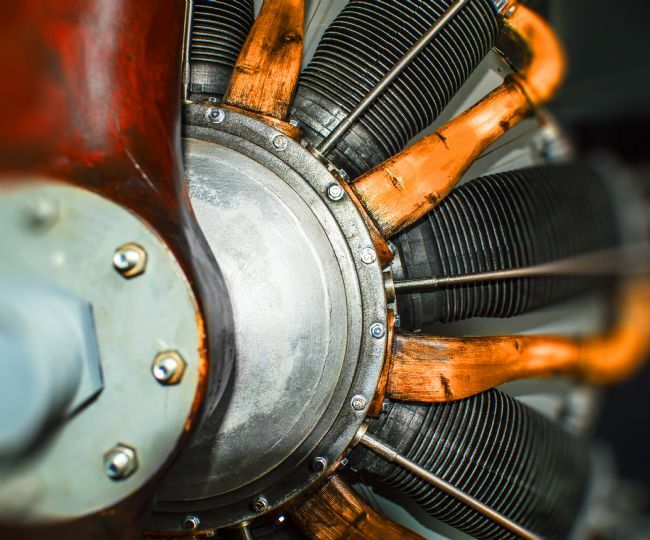 From the early 1900s they were gradually superseded by electric and diesel locomotives. Took this photo of some old suitcases perhaps 1930s or 1940s baggage as it sat just outside the Pullman train waiting to go to its destiny. 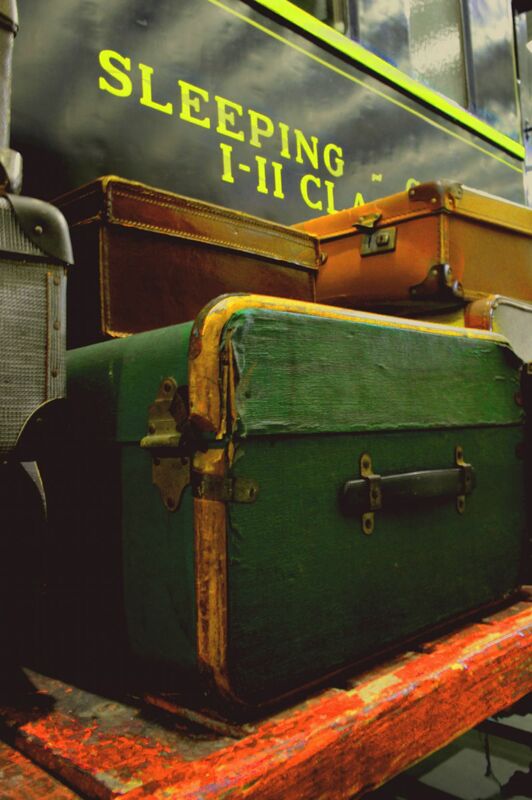 the picture i liked because it so reminded me of an era that's has passed by of steam locomotion and the hustle and bustle of the platforms as the train began to move slowly out from the station under the whistle of the train station master. It had been many years since the wright brother took off to the sky's on there first voyage in the kitty hawk. since then man has enjoyed many a flight crossing continents in his quest to make the planet ever smaller and within his reach.The Avro Anson, was originally designed as a coastal reconnaissance aircraft, and was derived from a 6-seat passenger airliner, the Anson 652. 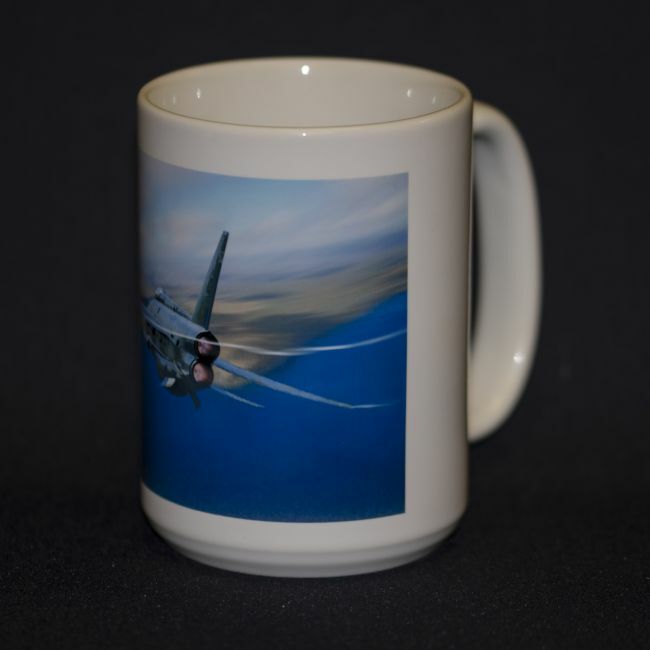 The design team was lead by Roy Chadwick, the designer of the Lancaster. The Anson ended up serving the RAF for over 30 years. Ballooning in Durham, brightly coloured balloons released in Durham, several took flight high above the skies, I was able to catch one that had just taken off from the ground, with its wicker basket attached the blue, red and orange colour of the balloon could be seen flying high above. Band playing wearing tradition Scottish kilts and wraps and playing the bagpipes as they walk through Glasgow's Streets. Reds, greens and supporting white boots and wearing sporrans and whilst walking they are playing the bagpipes. I had taken this photo whilst out walking along the transport bridge in Newcastle, the photo shows the Port of Tyne bridge in a misty red and whit colour and the Tyne bridge that over shadows it, I took the photo with my D3300 Nikon.